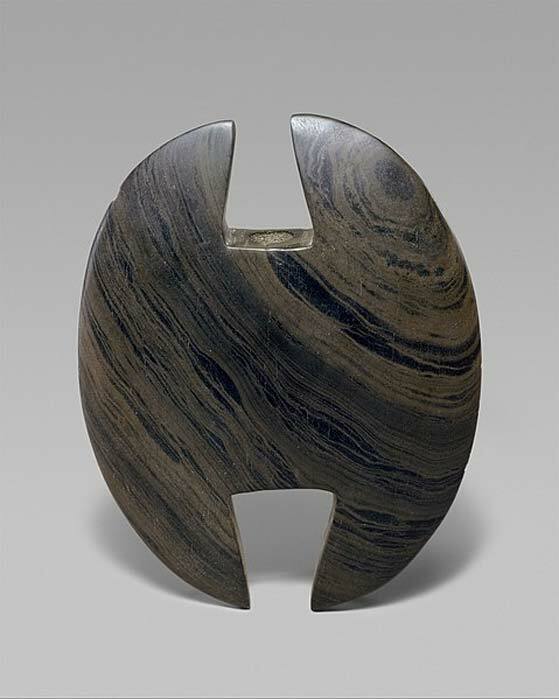 A bannerstone is an enigmatic Native American artifact found in the eastern United States. They come in a range of shapes and sizes and are made of various types of stone. These stones have been discovered in graves dating to the Archaic period (8000 to 1000 BC), but there are questions if the artifacts were used for ceremonial or practical purposes. Can the mystery be solved by experimental archaeology? The term ‘bannerstone’ was coined by scholars who lived during the early 20th century. 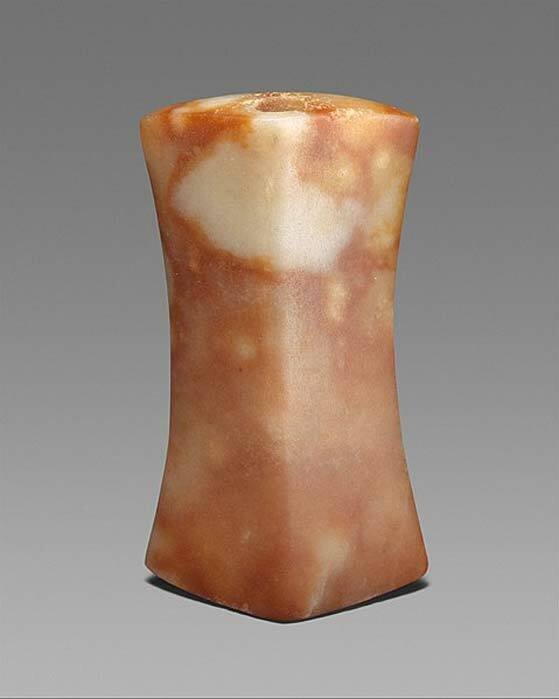 At that time, it was thought that these stone objects were used solely for ceremonial purposes. The scholars believed the stones were mounted onto shafts and used as emblems or ceremonial weapons. Numerous types of bannerstones have been found over time and there are several ways of classifying them. One of these is to group them according to their shape. They came in a variety of shapes, including bottles, butterflies, and crescents. Alternatively, these objects may be classified based on the area(s) in which they were found. Some have been found only in specific locations. For instance, it has been reported that the bottle bannerstones have only been found in an “area of the northwestern portion of Michigan’s Lower Peninsula near the city of Petoskey”. Others, however, have a wider geographical spread. For example, butterfly bannerstones are commonly found in the states of Ohio and Indiana, though they have been discovered in Georgia as well. Bannerstones may also be classified according to their material. Some, for instance, were made of local stone, whilst others were made of stone that exists far from the sites where they were found, which may be regarded as evidence of trade. What Were Bannerstones Used For? The bigger mystery surrounding bannerstones is their purpose. As mentioned before, scholars initially believed that they were used as emblems or ceremonial weapons. This may be true for some of the artifacts. Bottle and butterflies bannerstones, for instance, are believed to have served as status symbols, as they are often found undamaged. Other stones, however, have signs of wear and tear on them, suggesting they played a more utilitarian role. Thus, scholars began to speculate that bannerstones had a practical function as well. During the 1930s, William Webb, an archaeologist (who had formerly been a physicist) from the University of Kentucky, began excavating graves belonging to a culture known as the Shell Mound Archaic in the Green River Valley of Kentucky. Webb and his team found a number of these bannerstones in the graves. Some of them were lying between hooks and handles made of antler. Based on this observation, Webb assumed that the bannerstones were once part of an atlatl (a type of spear-thrower used in the Americas), the wood of which having long since disintegrated. Webb suggested that the stones were used as weights and were meant to increase the efficiency of the atlatl by adding velocity and power to the projectiles launched by these weapons. Webb’s theory dominated the study of bannerstones for some time and those who followed in his footsteps have conducted experiments in order to see how these objects might have been used to improve an atlatl’s efficiency. Researchers realized, however, that the bannerstones did not increase the velocity and power of the arrows thrown by the atlatls, as suggested by Webb. On the contrary, it slowed them down. It was during the 1980s that a plausible solution to this problem was found. Other experiments carried out with the bannerstones provided evidence that these objects could have been used as counter-weights. This increased the length of time that a hunter could remain motionless whilst holding an atlatl in pre-launch position before his hand tired out. This was required when hunting deer, the main prey in that part of North America, as the hunter had to remain motionless if he were noticed by the animal, so as to not startle it before launching the projectile from the atlatl. The connection between bannerstones and the atlatl may also explain its disappearance after 1000 BC. By then bows and arrows were available, thus making the atlatl obsolete. Nevertheless, this weapon continued to be used in some parts of North America up until the 16th century. 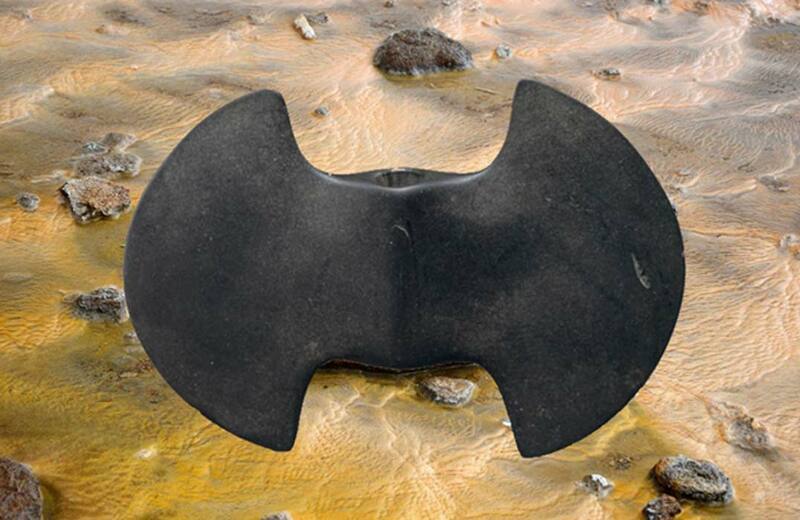 I would like to point out the remarkable similarity of the "Bannerstones" to the ancient Cretan ceremonial double axe or “Labrys”. It is known that there is a strong presence of the X haplogroup in Mitchingan area, as well as in East Mediterranean (where the Greek island of Crete lays) and this, among other things (as the double axes, for example) can lead to the speculation of "ties" between these places, many thousands of years ago. Ploutarch in Moralia, “The face of the moon”, passage 941, writes about the "great continent to the west", where the Greeks had landed well before his time. A detailed argument for a counterweight, and the use of the atlatl with bannerstone in hunting specifically white-tailed deer. Also, making bannerstones.